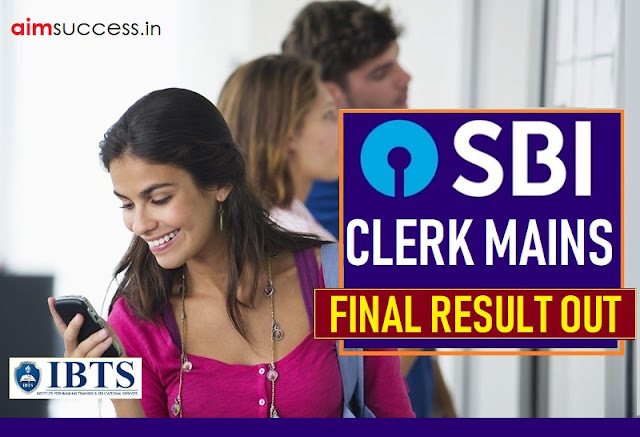 The State Bank of India (SBI) has released the FINAL RESULT for the Recruitment of Junior Associates (Customer Support & Sales). SBI has given the List of Roll Numbers of Provisionally Selected Candidates for the Appointment. All the candidates can check the Result Status from the link given below. We at IBTSINDIA & AIMSUCCESS would like to Congratulate all the Successful Candidates who have cleared the Exams and have managed to reserve a seat for themselves in the SBI-Clerk exams this year. We are extremely happy for all the achievers. We also like to wish all of you Best of Luck for your future endeavors.